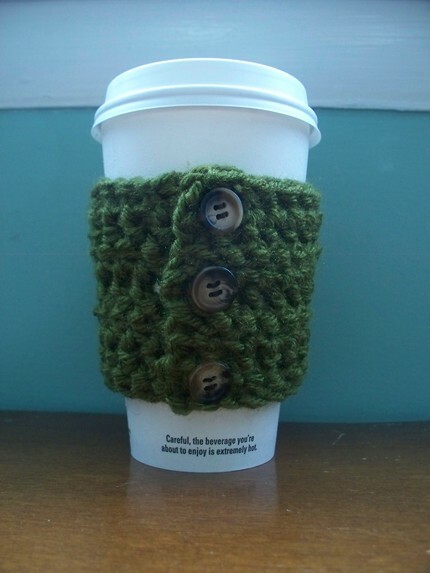 If you're going to accessorize your outfit, shouldn't your coffee be accessorized too?! I'm excited to introduce you today to Stitch Sense Designs, a new Etsy shop full of fun creations by my friend Nadir. Nadir is offering a special Giveaway today, so stick with me! 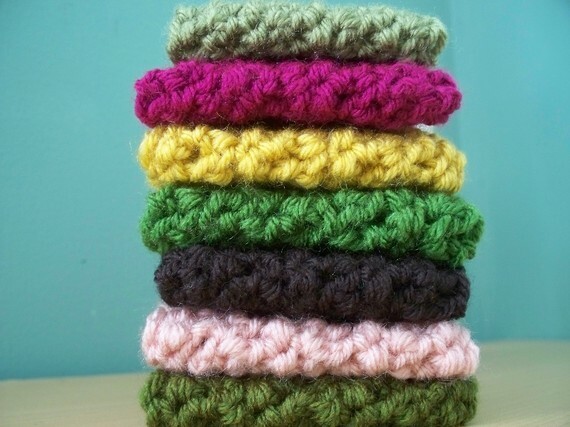 Nadir became "hooked for life" on crochet when she was in the sixth grade! She taught herself the ins and outs from a how-to book stolen from her older sister. After years of creating gifts for friends and family members, Nadir was encouraged to open her own Etsy shop when requests for her crochet and jewelry items made her realize she could have a real business on her hands. Because crochet has become her "sixth sense," Nadir opened Stitch Sense Designs in August and revamped her blog to reflect her new venture. The blog focuses on little glimpses into her life, and her shop includes baby items, winter accessories, jewelry, and gifts for the home. I almost want to curl up myself and take a nap in that soft little baby cocoon! Perfect for photos or even swaddle time. 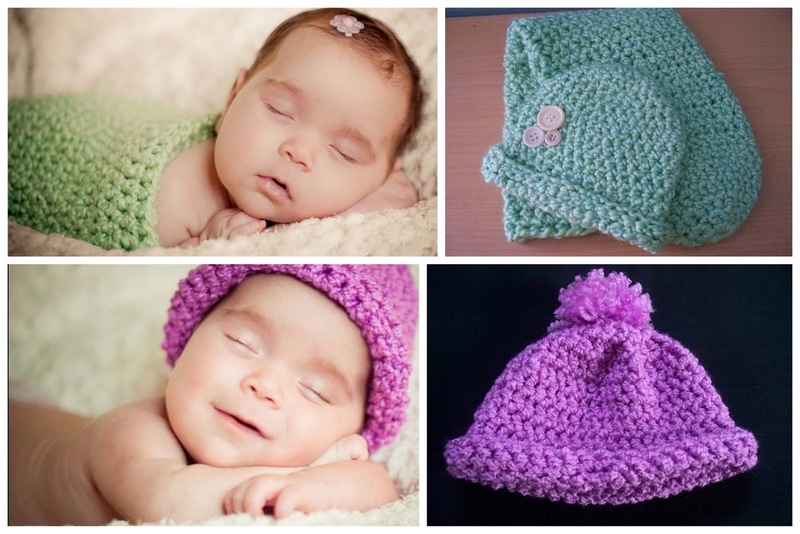 And who doesn't love a pom pom hat on a little one?! You'll need some cute new jewelry to go with your winter weather accessories! Starbucks? Good. Reusable Coffee Cozie? Good. What's not to love, really? 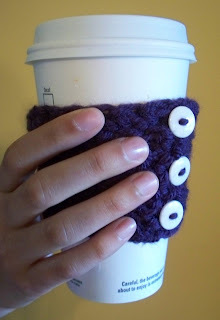 The idea that I could run out to the 'Bucks with one of those bad boys around my wrist and then swap it to keep my coffee warm just makes me giddy. An accessory for my coffee...I loves it! And I hope you love it too, because Nadir is giving away a $15 Gift Certificate to her shop along with a free Reusable Coffee Cozie in your choice of available colors! 1. (Mandatory to enter) Visit Stitch Sense Designs and leave me a comment here with the name of your favorite item. 3. "Like" Stitch Sense Designs on Facebook OR link to this Giveaway on Facebook. Please leave a separate comment for each entry. Giveaway open to US residents until 10 pm on Sunday, November 14th. See you tomorrow for Weekend Bloggy Reading. I have some great links to share! I Love the baby cocoons! SO SWEET! I am really loving the pink pom pom baby hat! So cute! Thanks for the chance to win. I "liked" Stitch Sense on Facebook. Cute things! I like the Scrolled Robin's Egg Blue necklace. I just wanted to stop by & send a big fat THANK YOU your way. :-) I appreciate it! I love the Copper Necklace & Earring Set. The baby cocoons are absolutely adorable!! I like the arabesque cowl! Cute Stuff! Love the arabesque cowl, but the green coffee cozy is really cute too. Can't choose. I have two favorites. I love it all - I'm just a little bias though since Nadir is the first daughter of our family! :) Great Blog site also, I enjoyed browsing! LOVE LOVE LOVE EVERYTHING FOR BABY!! I love the hidden clasp necklace! Nadir is a DEAR. And she's so talented--everything in her shop is lovely! But hands-down my favorite thing is the dish cloths. 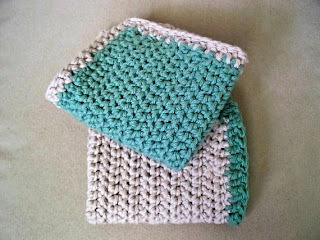 Wonder what it says about me that I like the thought of beautiful new dish cloths even more than beautiful new jewelry? or scarves? Maybe I need to get out of my kitchen more often. "Do you love my ARABESQUE COWL? 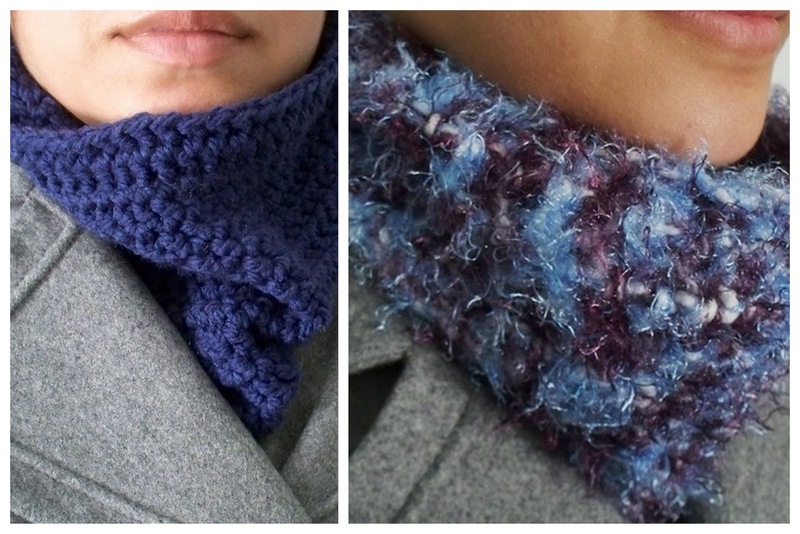 Did you know it was called an ARABESQUE COWL? Don't I look cozy and stylish in my beautiful ARABESQUE COWL? Huh, don't I???" What a fun giveaway! Nadir has a lovely offering! 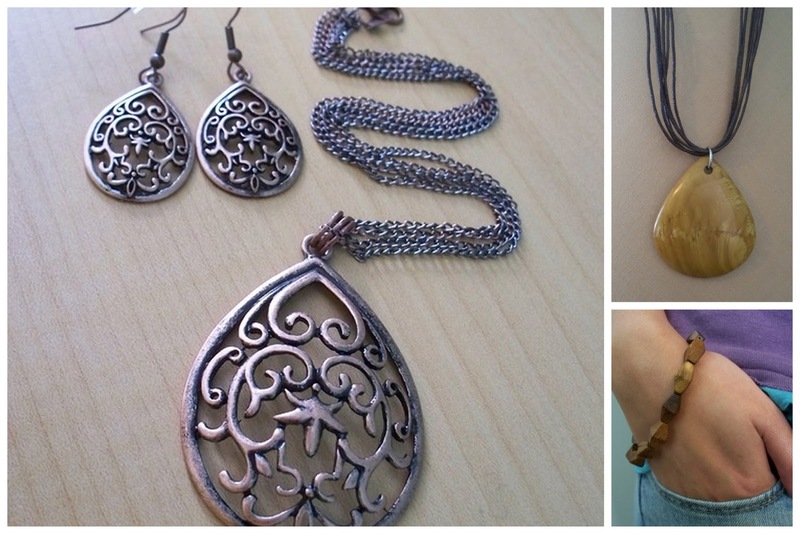 It's tough, but I think my favorite item is the copper necklace and earring set. I like the Cotton dishcloths! My favorite is the hidden clasp necklace! I like her on facebook too! !